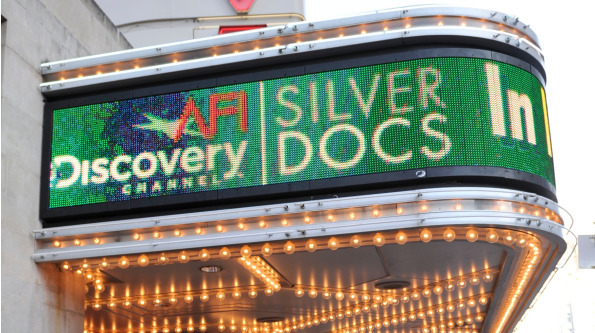 Access Pollywood: Silverdocs Hits Full Stride Check out what the documentary film festival has to offer on Wednesday, June 23. Check out what the documentary film festival has to offer on Wednesday, June 23. Our local, world-class docufest hits full stride today and Washington Life is a major sponsor. If you’re in Silver Spring during the day, you can pop into AFI for some of the free short films from noon to 1:30. Today’s program includes poodle training, bird watching, and a deer adopted by cows. Highlights for later today include HIS & HERS (6 pm), in which dozens of Irish women and girls tell the camera about their troublesome menfolk; STEAM OF LIFE (6:45 pm), in which just the men talk about everything while sitting in Finnish saunas; and the much-anticipated RIDE RISE ROAR (10:30 pm), following the creative process and collaboration of musicians Brian Eno and David Byrne. SILVERDOCS runs through Sunday, with hundreds of films; watch this blog for more and see details at silverdocs.com. 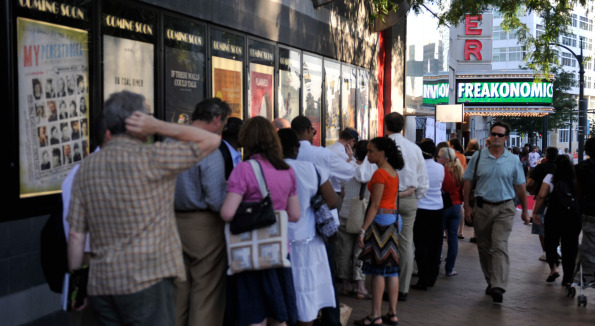 Washingtonians wait in line eagerly at the Silverdocs opening. Photo courtesy of Silverdocs.